Yoko featured in Downbeat Magazine! 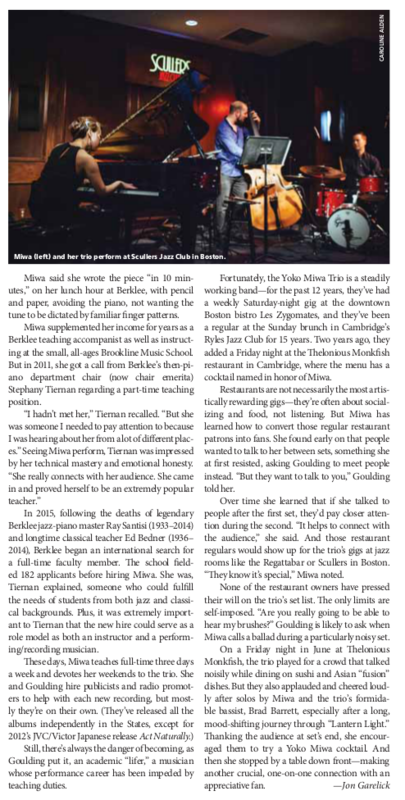 We’re excited to announce that Yoko is featured in the September issue of Downbeat Magazine! Pick up a copy at your local newsstand or bookstore today. Thanks as always for your support. Thanks for truly getting “it” John!